Author Interview: Jared Farmer "Trees In Paradise"
California has more trees now than at any time since the late Pleistocene. And it comes as no surprise to residents of the San Joaquin Valley that our cultivation of trees has played a defining role in shaping the California we know today. 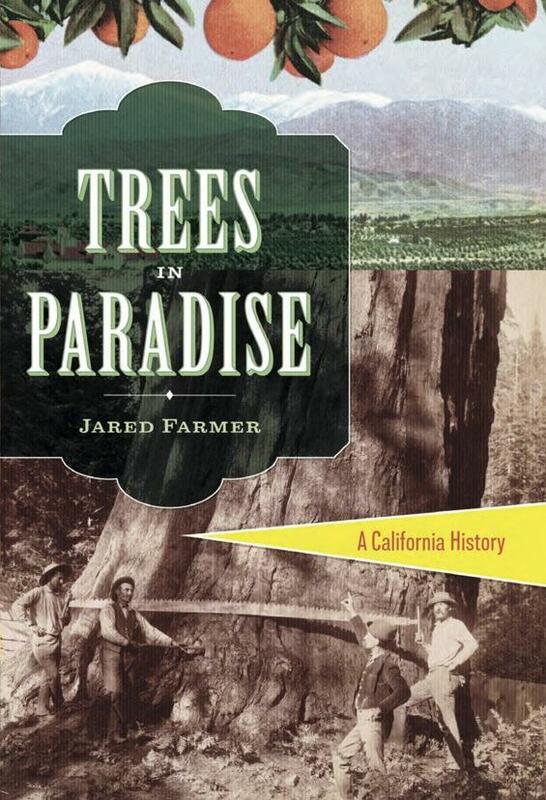 In his new book “Trees in Paradise” author Jared Farmer looks at California's rich history as told through its trees – and specifically four types of trees – redwoods, citrus, eucalyptus and palms. In it he draws some fascinating connections between our trees and our culture, from our attitudes towards immigrants to the birth of California’s environmental movement and the very picture of the California dream itself. Recently on Valley Edition, we spoke with Farmer about the book and how California's trees, both native and non-native have shaped the state as much as anything since the Gold Rush. Throughout Central California those who work in the citrus industry are on edge. A tiny insect, no larger than an aphid, is threatening the future of the state’s billion dollar citrus crop. It’s known as the Asian Citrus Psyllid. “It looks kind of like an aphid, only with a harder body, and a little bit browner," says Beth Grafton-Cardwell, an entomology specialist with the University of California at the Lindcove Research Center just west of Visalia. And the creature’s babies are just as pleasant. The first breeding population of a potentially disease ridden bug that the California citrus industry has been fighting to keep out of the Valley was found in record number in the region Tuesday. Just under 200 Asian citrus psyllids were spotted on three backyard citrus trees in the community of Dinuba. “We sent out our staff biologist and he was able to see all stages of the ACP, the eggs, the nymphs and the adults on more than one young citrus tree,” says Tom Tucker, the Tulare County assistant agriculture commissioner. Valley citrus growers are in for a long night tonight, as what is expected to be the coldest evening of the year threatens to damage the region's citrus crop, with the most popular new variety, the mandarin orange, most at risk.